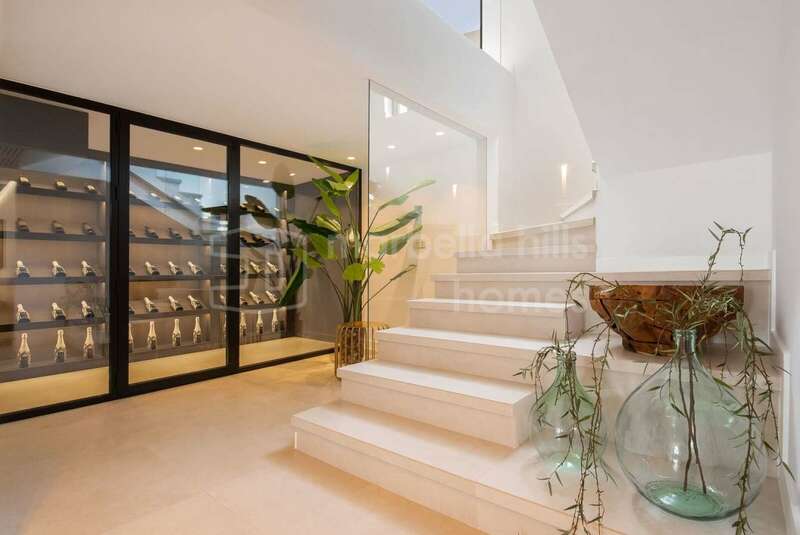 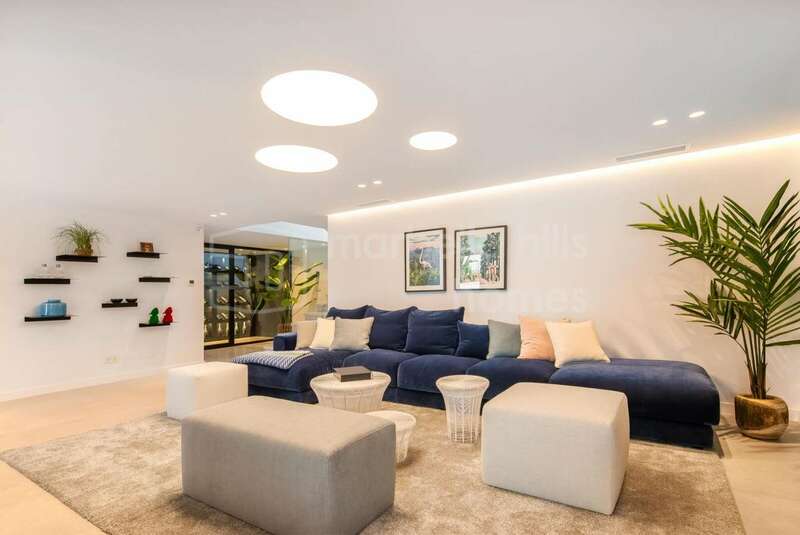 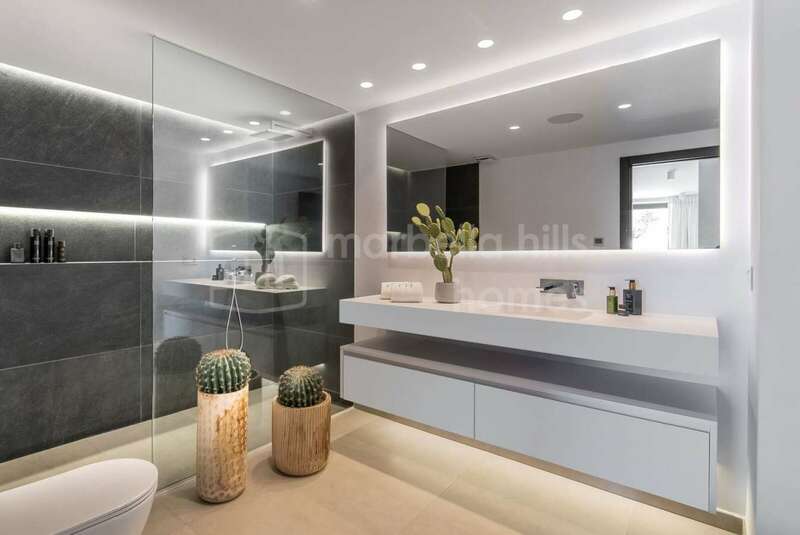 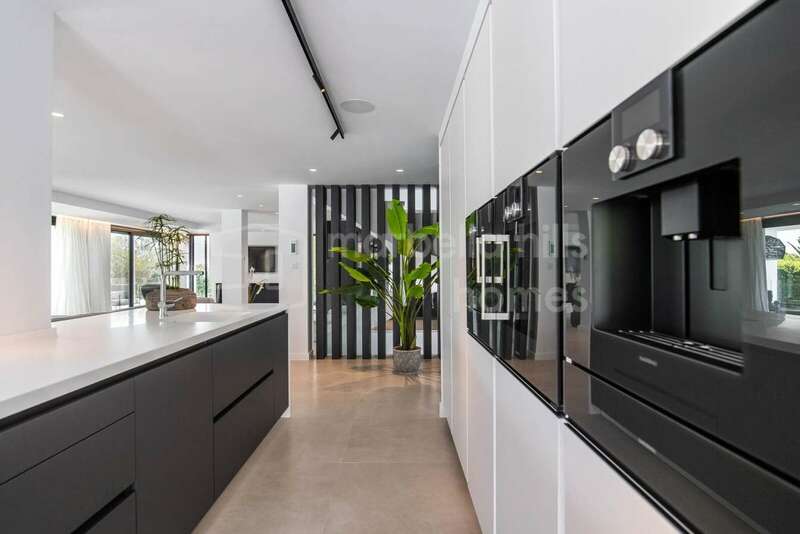 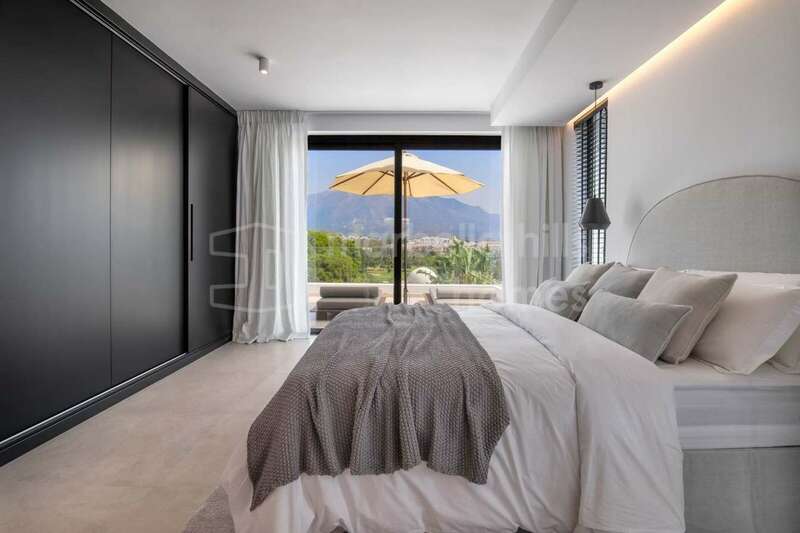 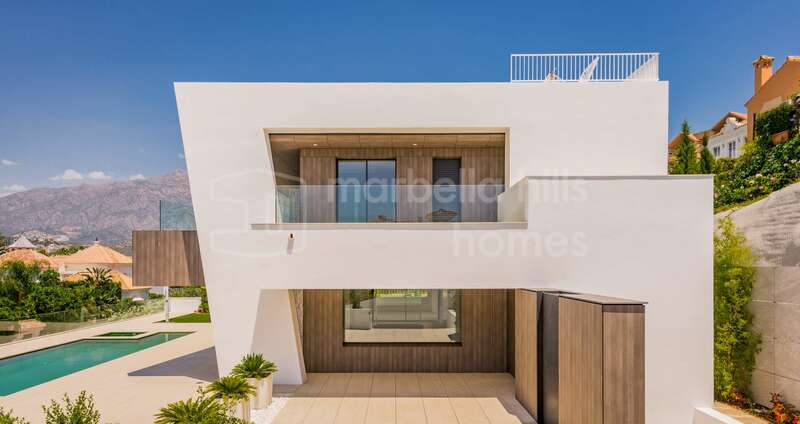 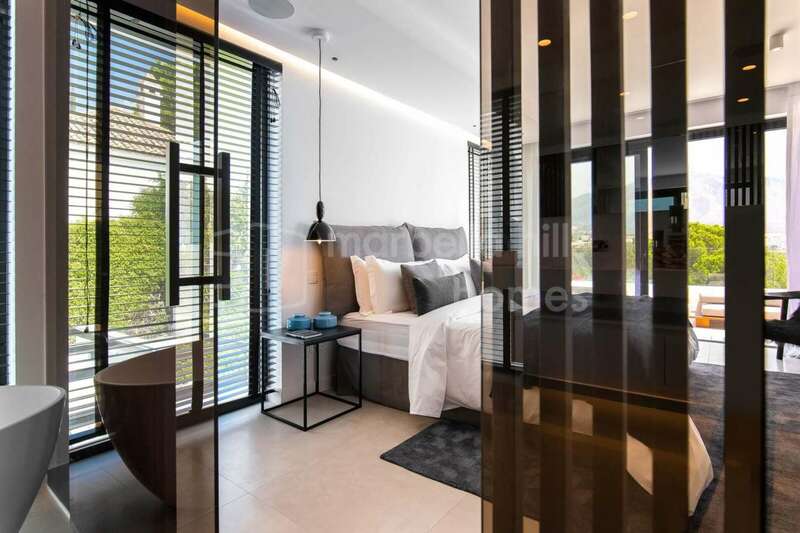 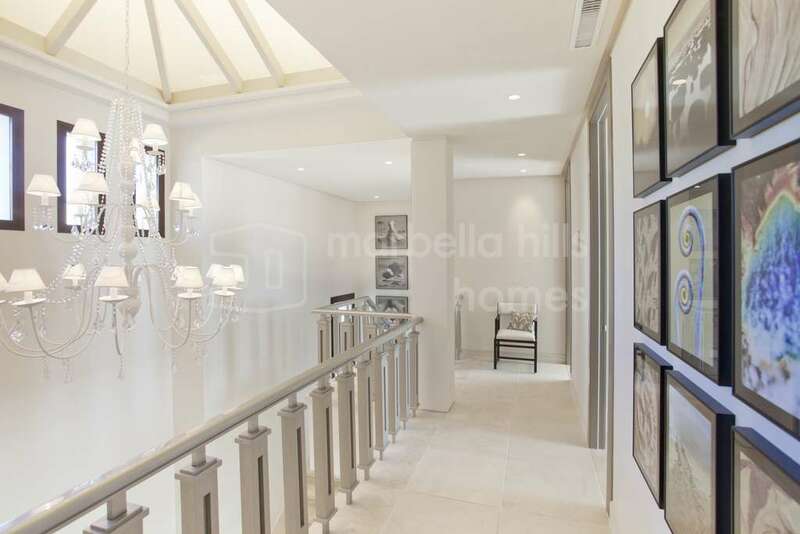 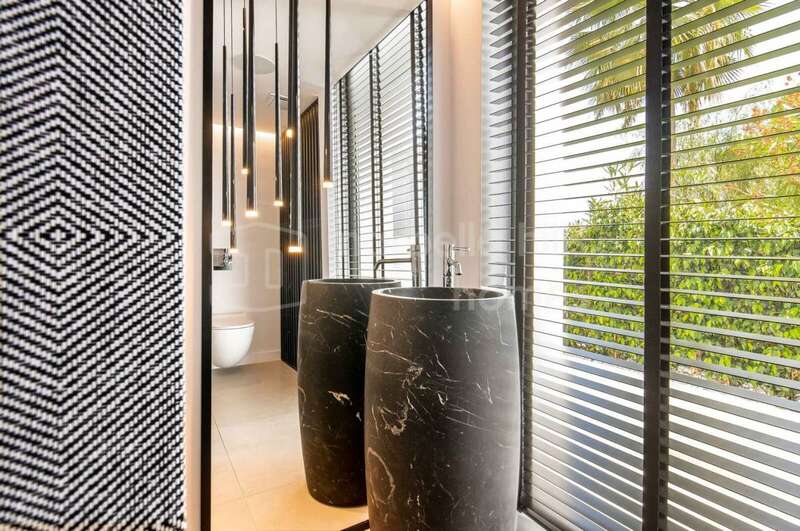 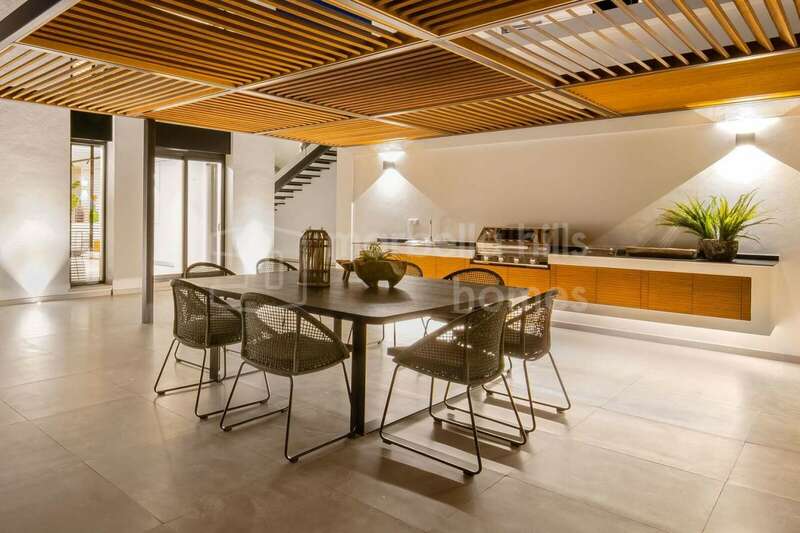 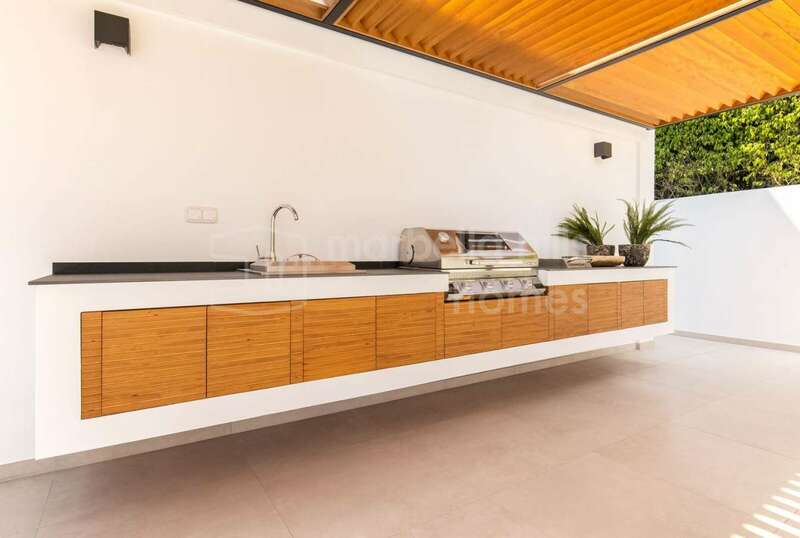 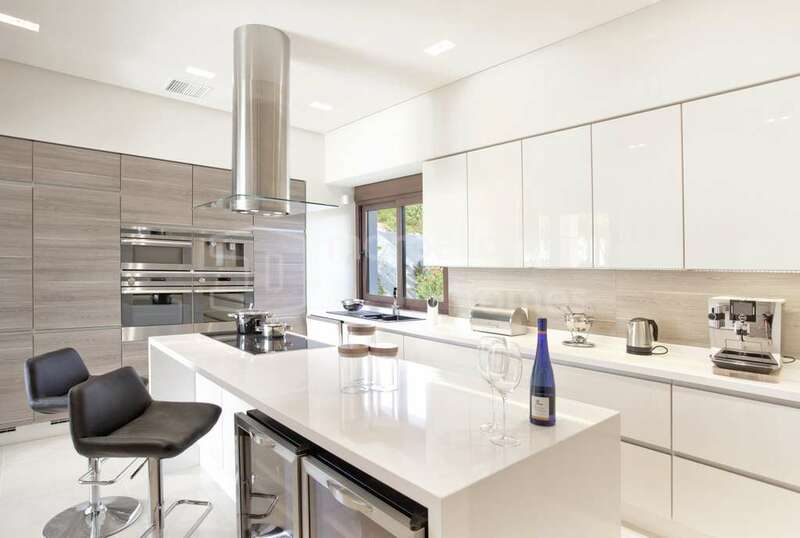 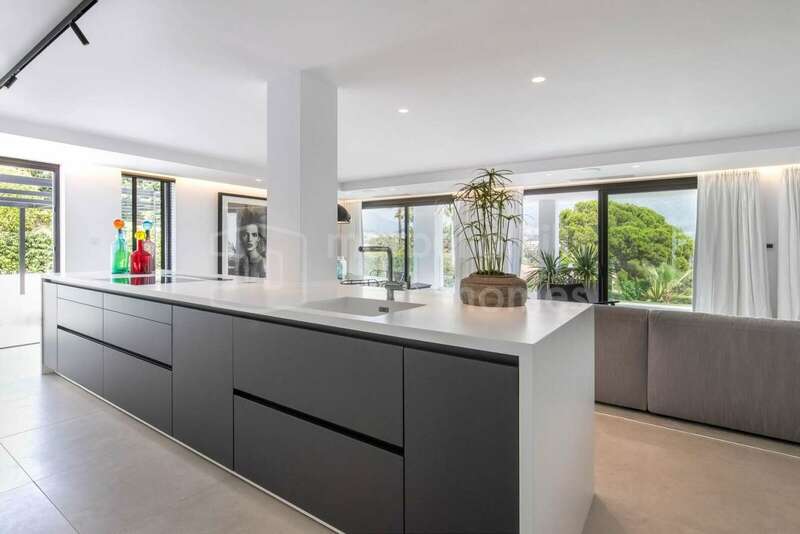 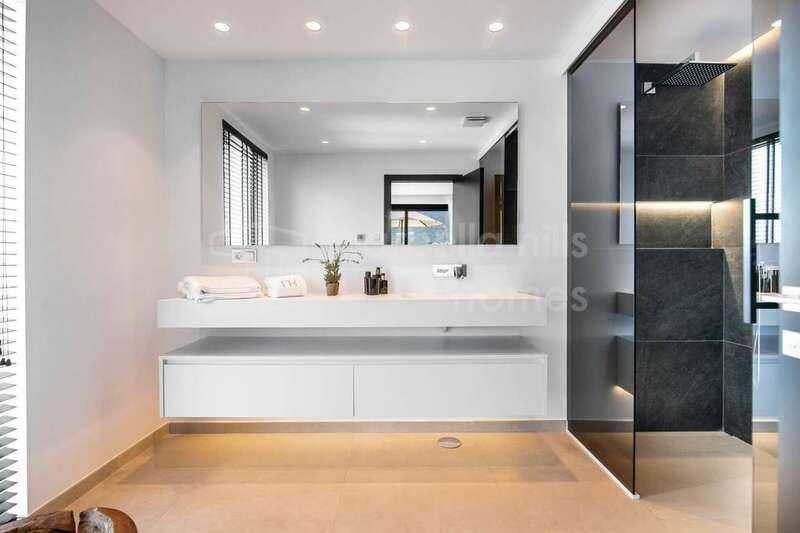 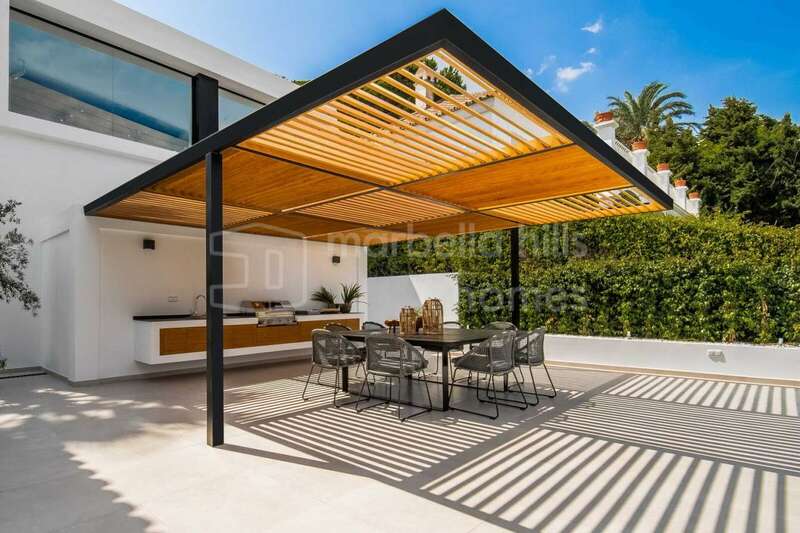 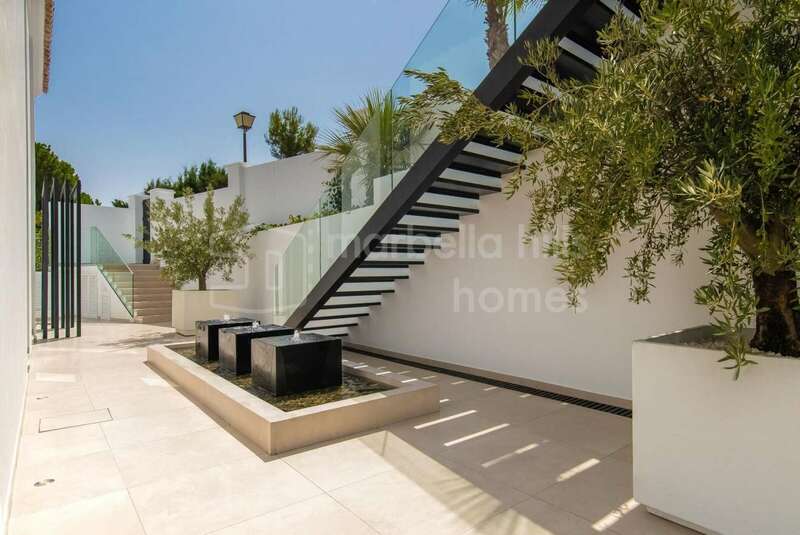 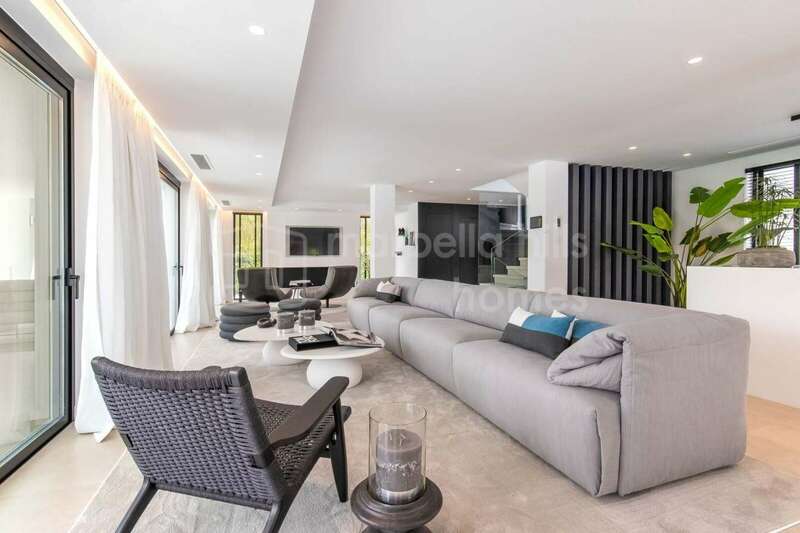 Exceptional ultramodern luxury villa, recently built within the superb setting of the Golf Valley, one of the most sought after places in Marbella, only a few minutes from Puerto Banus. 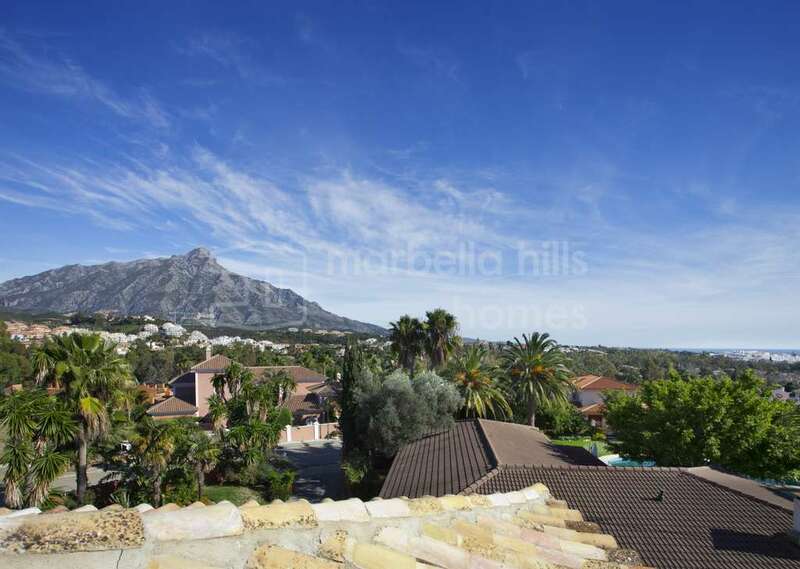 Magnificent view of the golf course and the famous La Concha mountain. 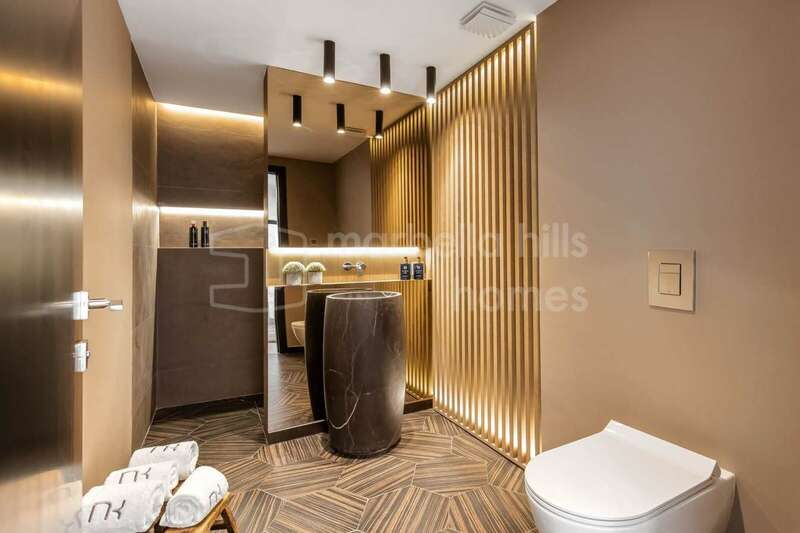 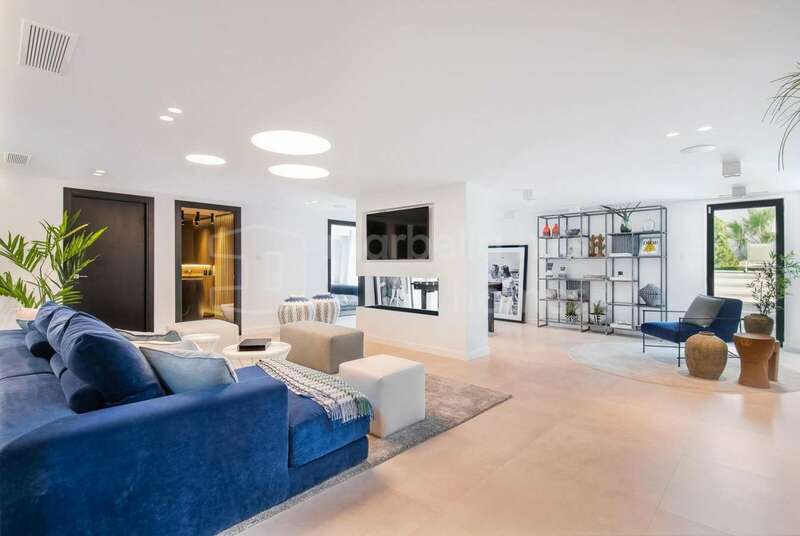 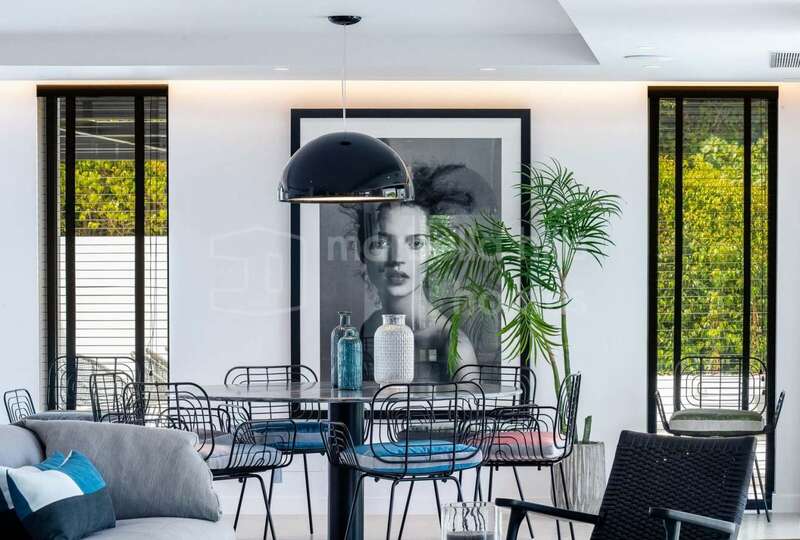 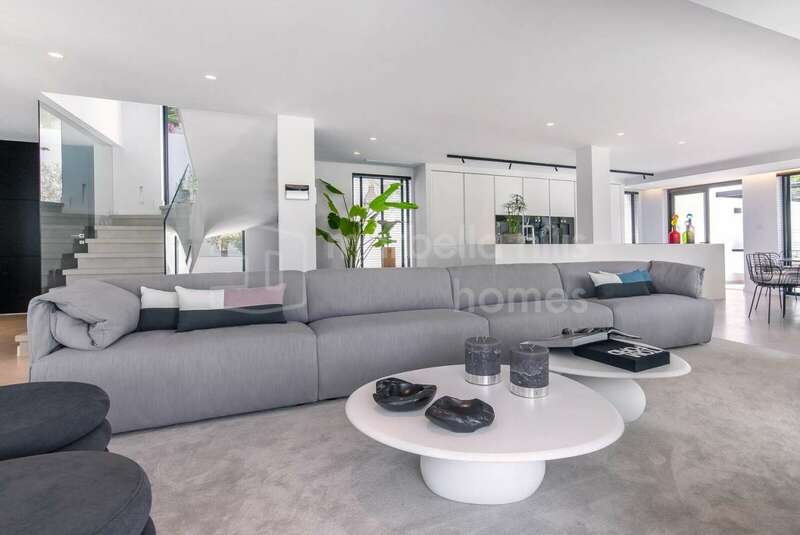 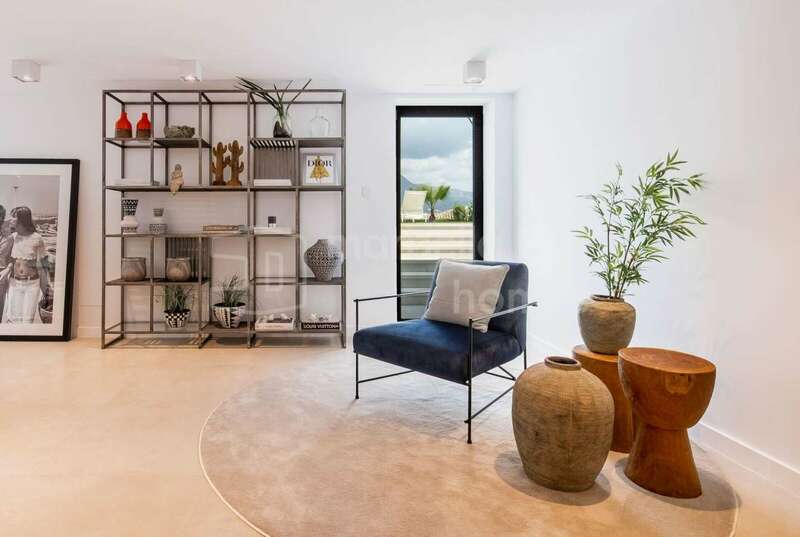 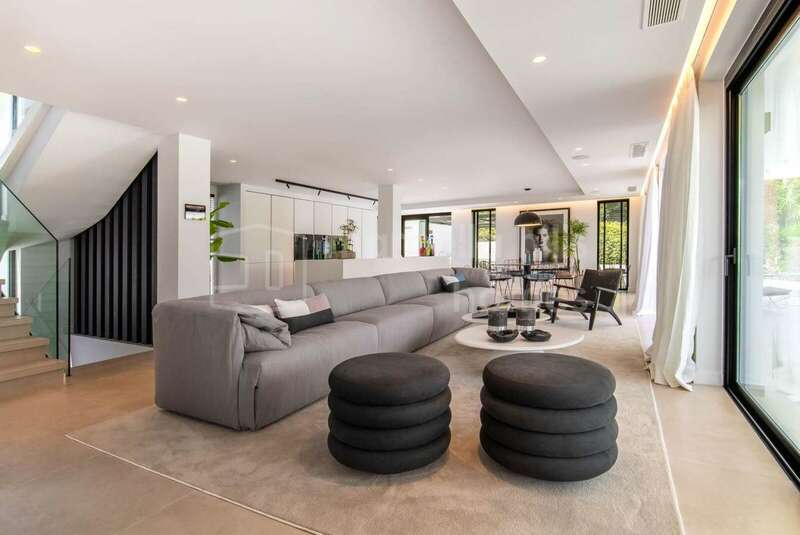 on the ground floor, a vast entrance hall leading to a superb lounge / dining area with double height ceilings, an amazing high-tech kitchen fully equipped with high-end appliances, a bedroom d Breakfast. 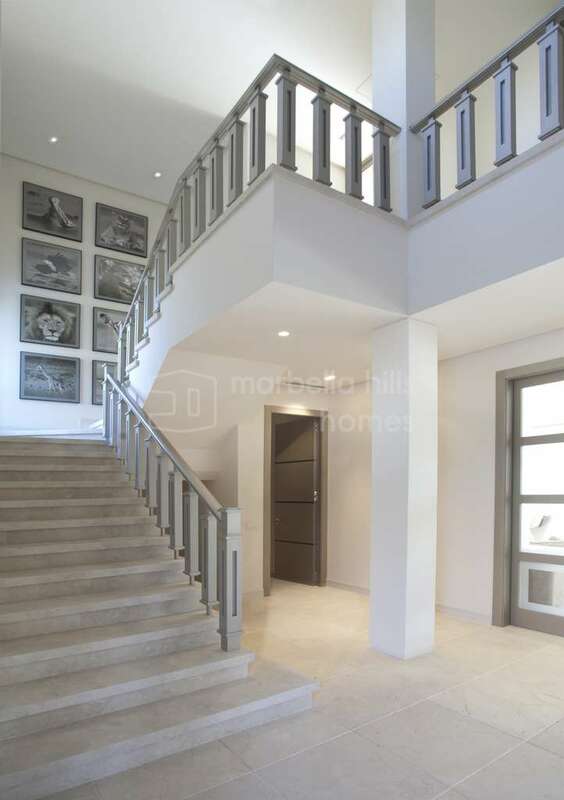 At this level, huge bay windows allow direct access to the garden and the swimming pool. 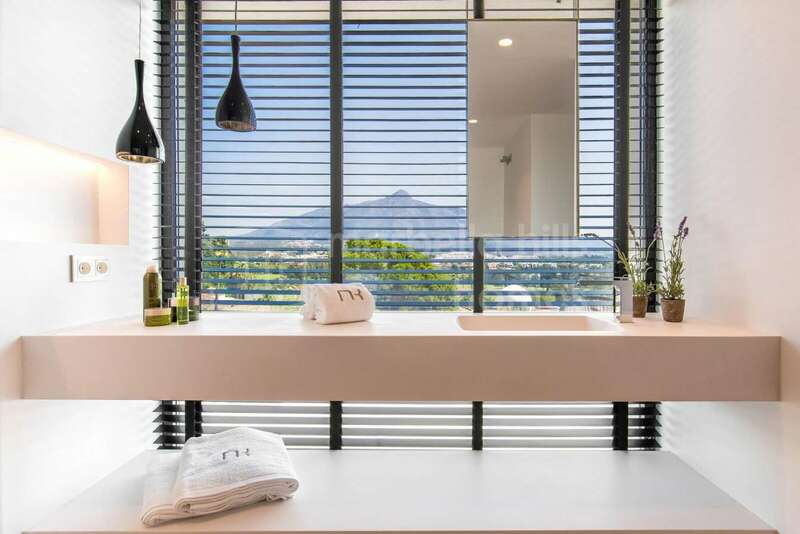 Upstairs there is a sumptuous master suite with en-suite bathroom, dressing room and private terrace, with superb views of the golf course, the mountains and the surrounding nature. 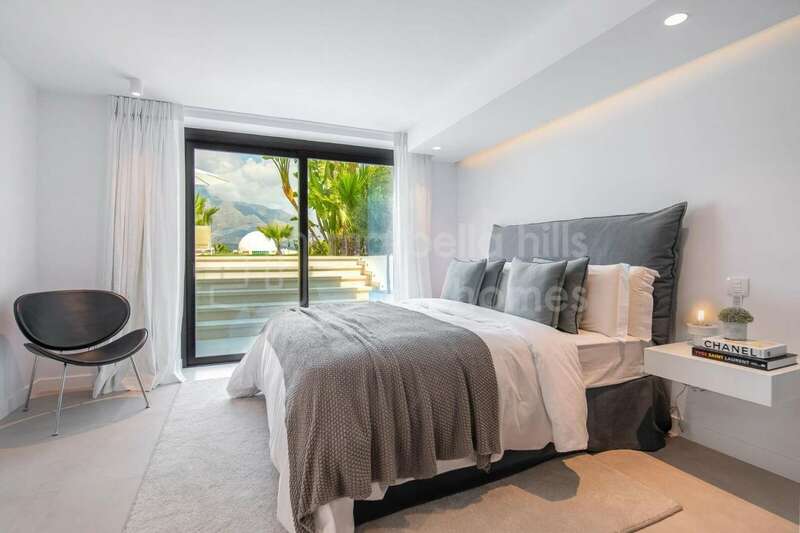 One the opposite side of this level, two en-suite bedrooms with private terrace. 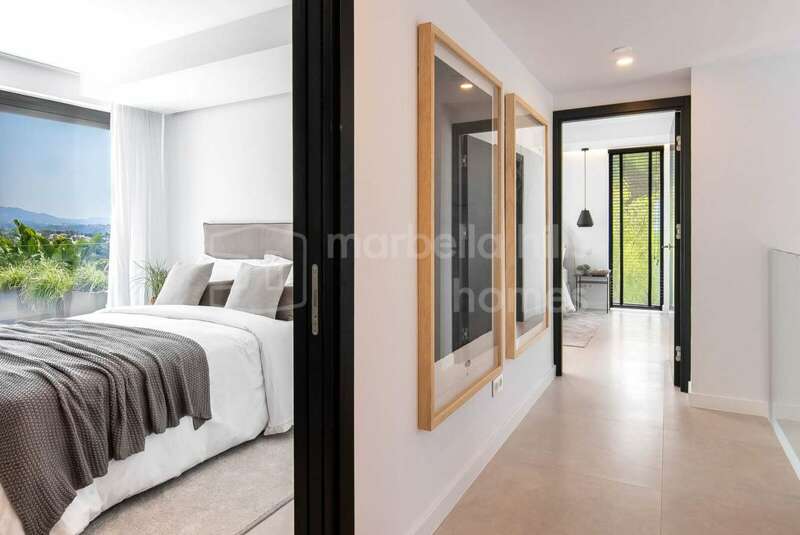 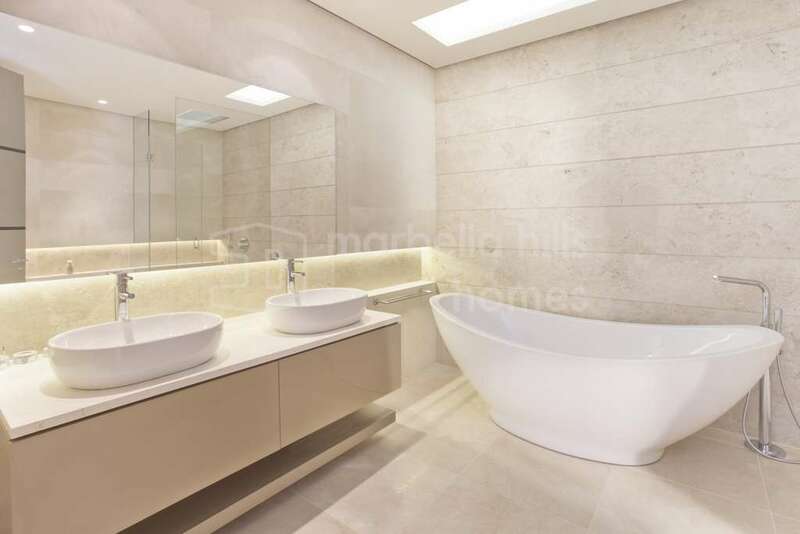 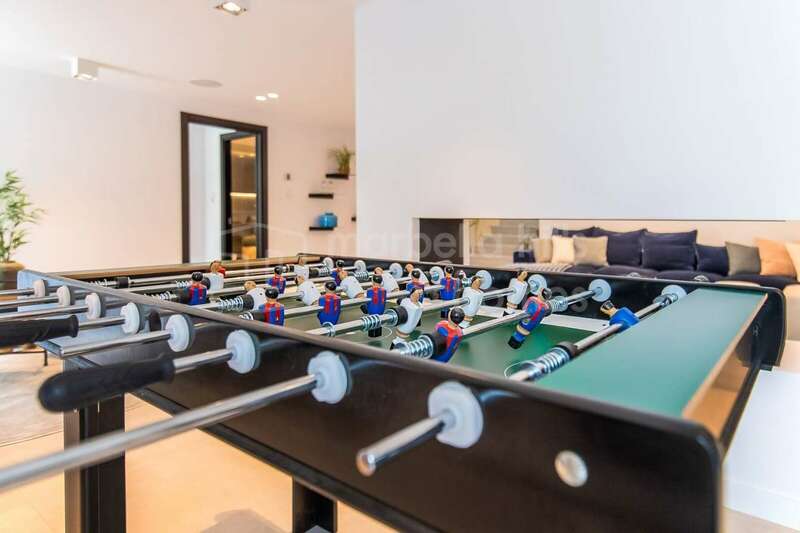 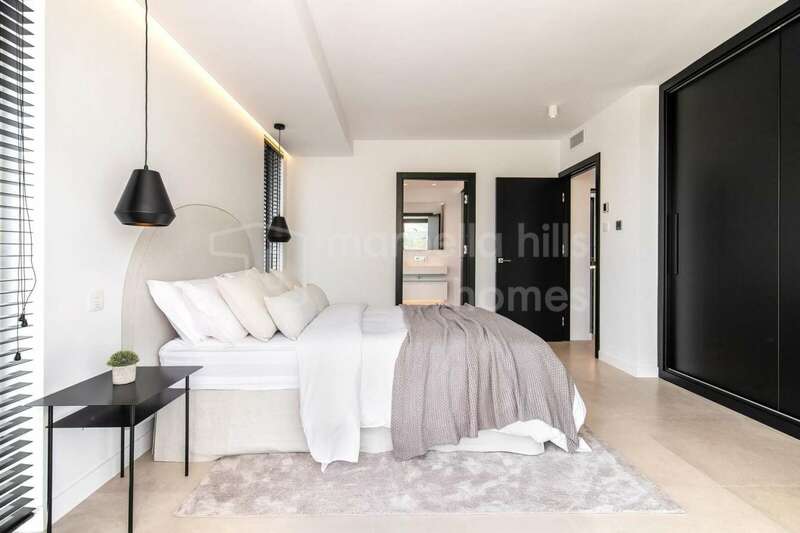 The basement has a large en-suite bedroom with natural light and access to the garden, a room of 80 m2 is suitable for conversion (home cinema, fitness room, games room, etc …) a large garage (minimum 3 cars). 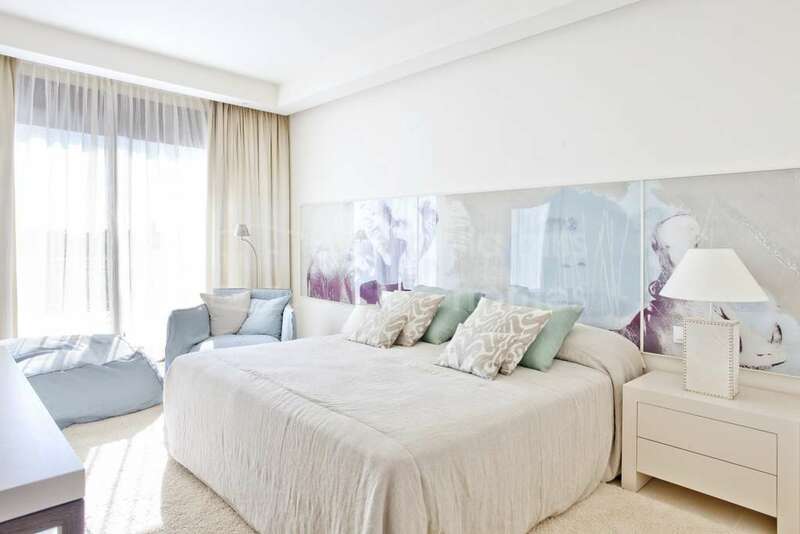 There is a possibility to build a 5th bedroom. 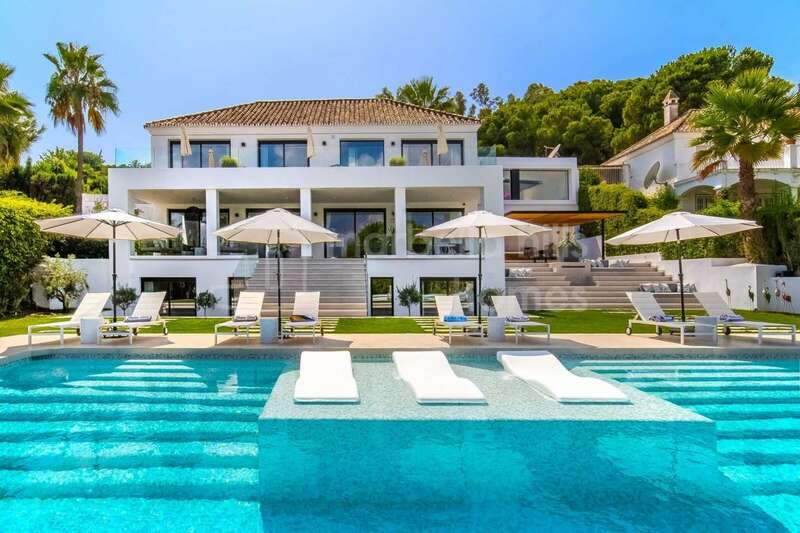 This luxurious villa has very high-end services. 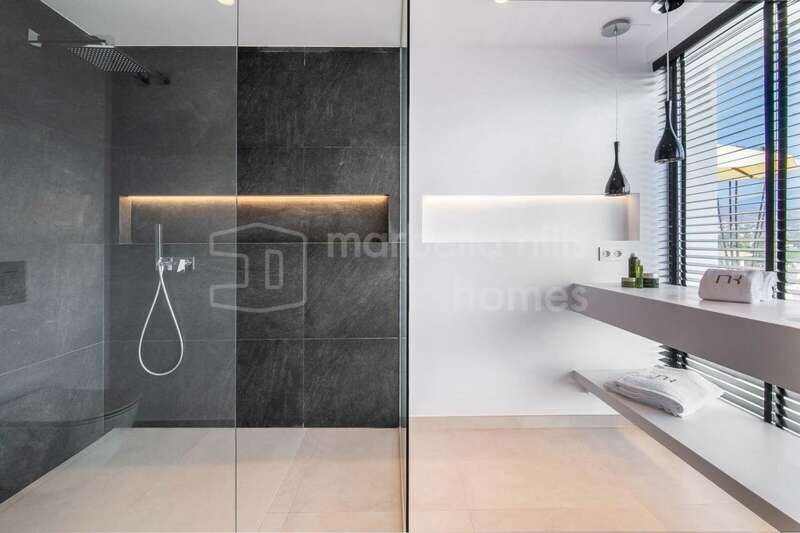 An interior lift serves the 3 levels – a fireplace – air conditioning hot / cold – underfloor heating – a heated pool – advanced home automation system – alarm. 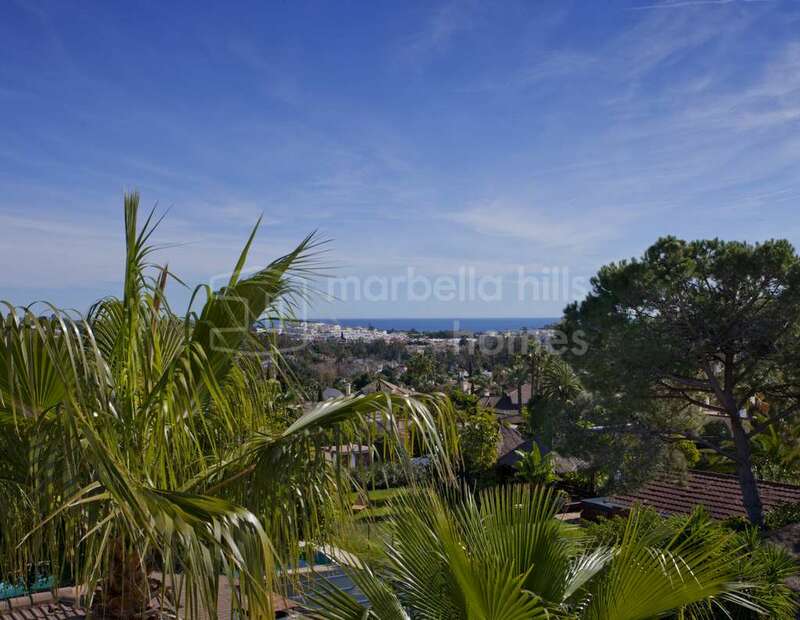 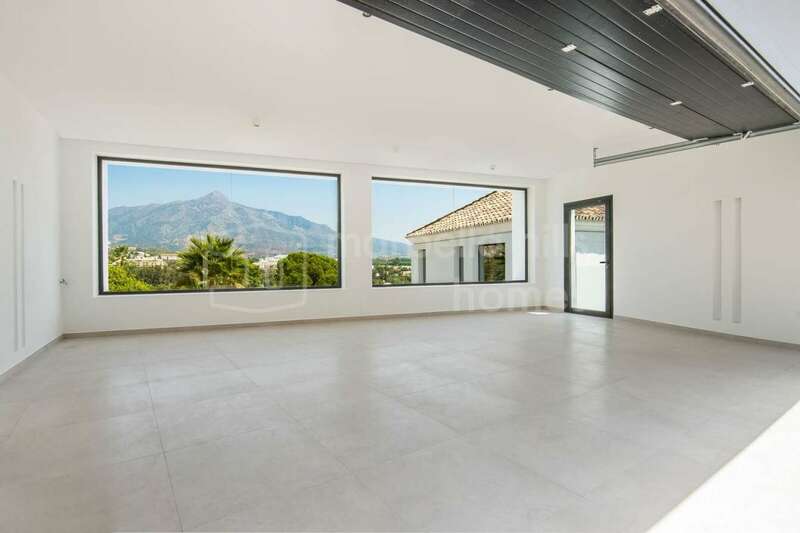 A villa in all points exceptional, located close to all amenities in one of the most select areas of Marbella. 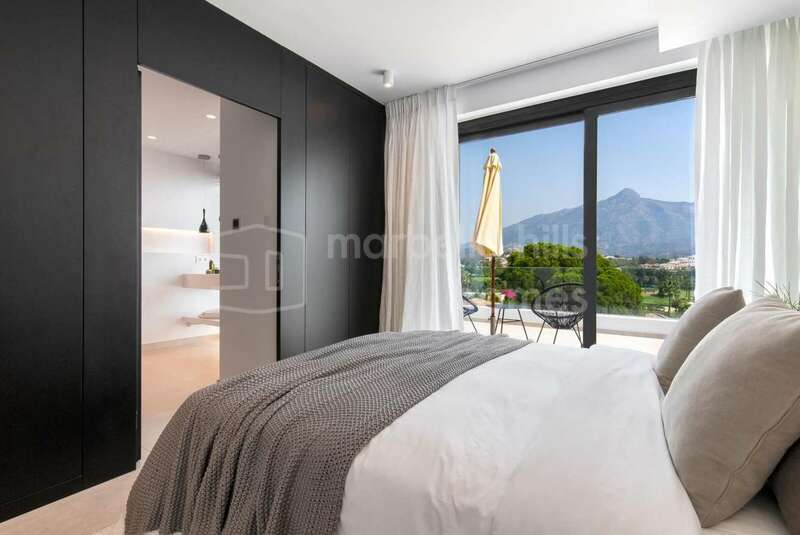 Front line golf, Fully fitted kitchen, Surveillance cameras, Utility room, Fireplace, Satellite TV, Basement, Guest room, Storage room, Alarm, Double glazing, Brand new, Dining room, Security service 24h, Guest toilet, Living room, Amenities near, Mountain view, Golf view, Heated pool, Underfloor heating (throughout), Laundry room, Electric blinds, Fitted wardrobes, Air conditioning, Lift, Panoramic view, Unfurnished, Close to Golf, Game Room, Glass Doors, Separate dining room, Wooden floors, Open plan kitchen, Excellent condition.